This bunch of alstroemeria, carnations, gypsophilia, and pistacia is perfect for any occasion. Send the warmest wishes for a birthday or anniversary. 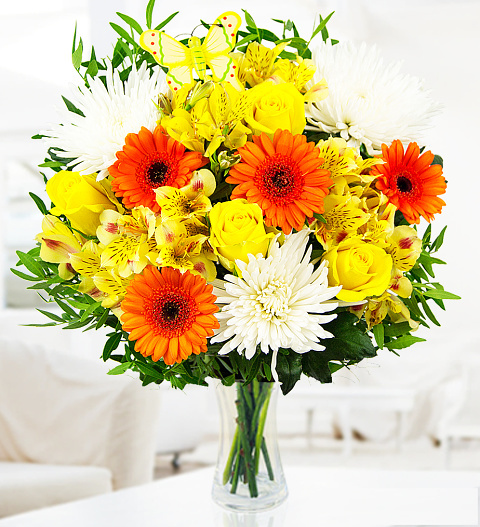 The warm colours of these flowers are also perfect for cheering up a friend or loved one. Each stem is carefully selected and arranged by our professional florists. Chocolates may contain nuts. Chocolates may contain nuts. Chocolates may contain nuts.